I braved the numbing gusts of wind on two separate occasions to capture this burgundy and blue themed outfit - hence the slight change in hosiery denier among the pictures, not that either had much thermal effect I may add. Although windswept, with such rich colours in play - the velour ensemble still stood bold and aired a slight hint of festivity, it is the season after all. 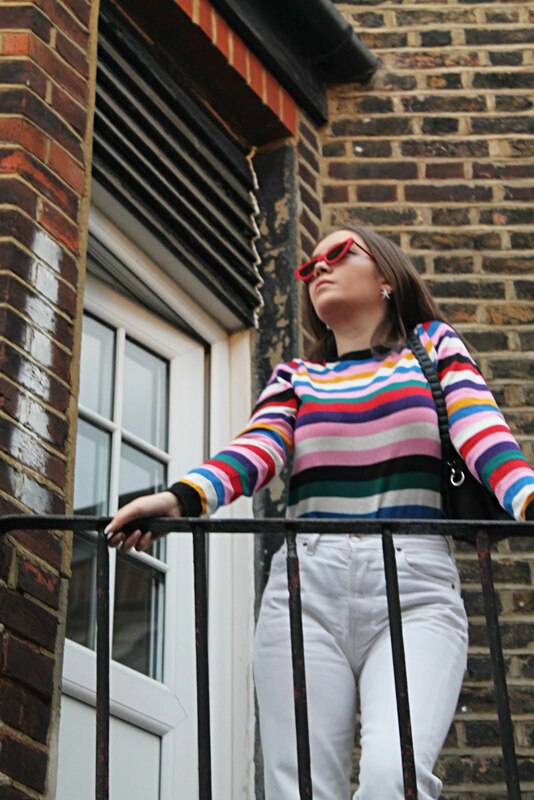 Admittedly, I am not one who identifies with the allure of jumpers, with only a small number currently hauled in my ownership - I often perceive them as bulky, frumpy even and thus, tough to style in such a way which evades the ordinary - knitwear is knitwear and that is that. Layering is often not an option, after all by its very nature a jumper often possess a hefty weight of thickness of its own - add to such coating (before considering a coat mind) and you may very well sweat to death, something which is not at the essence of winter, and rather contradictory of the cold you are aiming to shield against. However, since developing a penchant for a certain knitwear kind of Bella Freud design (Pandora Sykes is to thanks for such fleeting lust) the jumper allure has sparked in size, and whilst I can currently only dream of owning a Bella Freud original, when I spotted this ASOS sweater of akin form - with it's unusual yet fitting colour scheme and high neck attribute, I could not resist. 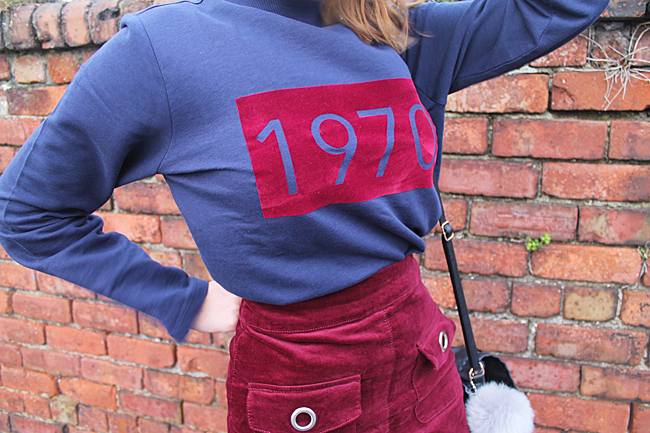 Although etched with the '1970' slogan (Bella Freud inspired, of course) I paired the striking off-blue knit with a 60s inspired corduroy skirt of matching tone, combining the two eras I adore currently. I love how the rich blue and red contrast each other in this outfit! I feel only certain shades of each color can be paired together with good effect. I love sweaters! Haha, sometimes I get a little confused when people say "jumper" because in the states, we don't use that word! That skirt omg, i'm in love!! Love those boots! 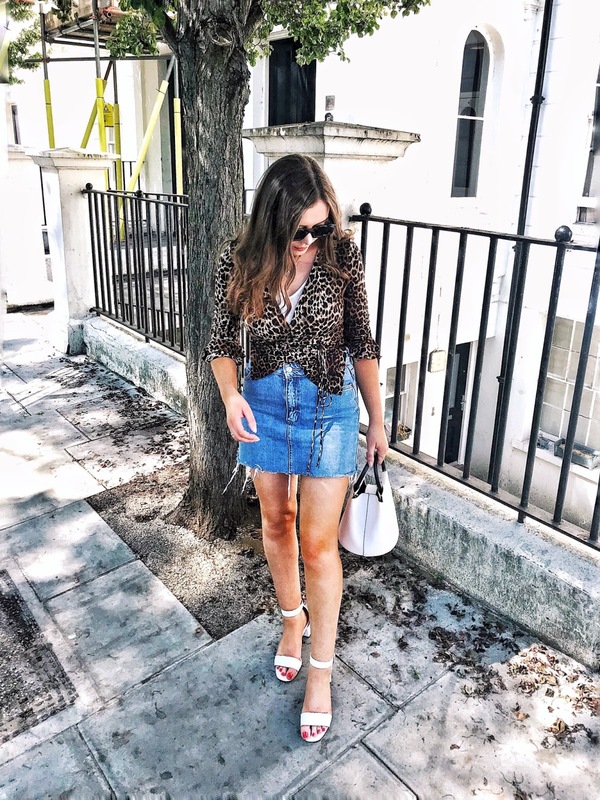 The outfit reminds me of something that Alexa Chung would wear, and she is one of my style icons. I'm loving the blue and burgundy together! Such a cute skirt and love the boots!